RTP Chiropractic aims to educate their patients about Chiropractic and other natural solutions to common health problems in order to motivate everyone to take a more active and responsible role in restoring and maintaining your own health as well as the people around you. Dr. Gibson envisioned his chiropractic website to help inspire his patients to lead an active lifestyle. The use of illustrative photos encourages patients to achieve this goal. In addition to the photos, there are slight effects such as in the top menu rollover and Dr. Gibson’s brief biography at the bottom of the homepage. 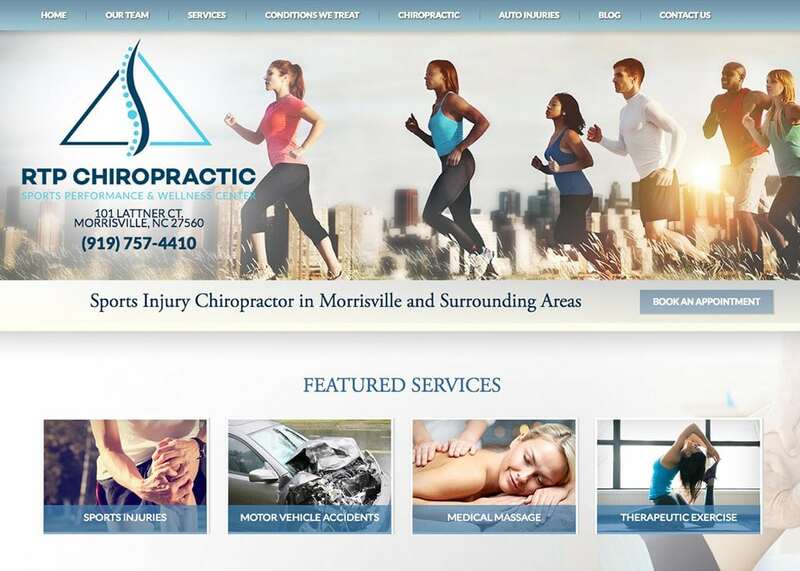 These effects give the doctor a personal touch to his website setting it apart from most Chiropractic websites.